A selection of the work I have completed in the last year. Website for local harpist to advertise availability for weddings and functions. Embedded youtube videos and a contact form with basic CAPTCHA. 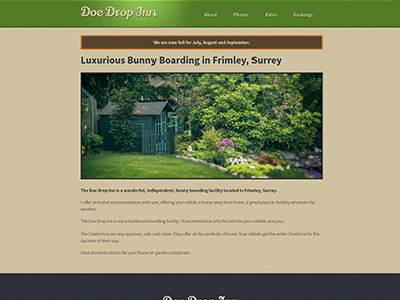 Website for rabbit boarding. Contains information on the boarding and a contact form. 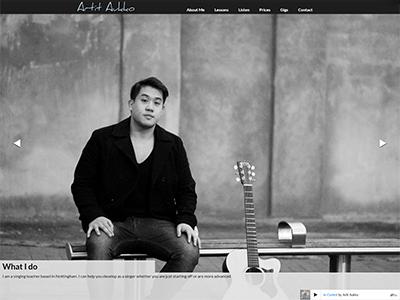 Site is responsive for desktop and mobile. There is a simple administration area (PHP & mySQL) to allow setting an availability message displayed at the top of the site. 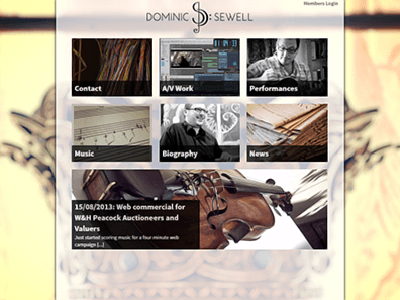 Website for composer and music teacher based on Wordpress. There are pages for displaying youtube videos, embedded audio players and contact forms. There is a blog section for up-to-date news. There is an area of the site hidden behind a registration, for pupils to access teaching materials. 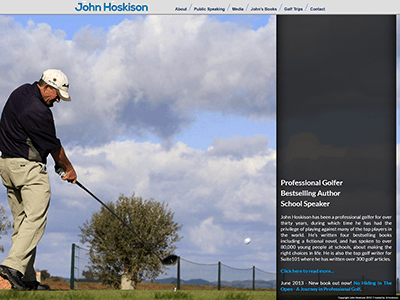 Website for my father to display availability for public speaking, golf tuition and display achievements in writing and golf. 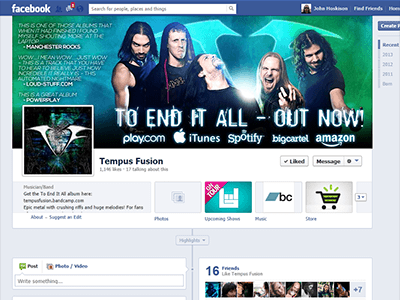 Various graphics have been created for the band, from Facebook Cover images to posters advertising gigs and promotional stickers.